Please answer questions A, B, and C under “Critical thinking” in Chapter 8 of the Health Insurance Today Workbook. Enter your answers into a Word document named “Federal Plans Workbook”. A.Explain the difference between “categorically needy” and “medically needy” and give example of individuals who fall into each group. B.You are a health insurance professional employed by Generic Family Practice. On September 7, 20xx, Emily Carson brought her 4-year-old son, Cory, to the office. Cory, who is complaining of ear pain and a sore throat, is new to the practice. Ms. Carson, a single mother, states that she and Cory are on Medicaid. After greeting Ms. Carson, what is the first thing you should do? C. Brice Sammuels, a 9-year-old girl, come to Generic Family Practice on a monthly basic for follow-up treatment for a serve case of asthma. Gina Peter, a temp who is filling in for you during an absence, not that Brice was eligible for Medicaid every month for the past 2 years. Assuming that Brice is eligible for Medicaid benefits on this visit, Gina neglects to verify current eligibility. What, if any, possible problems could result from Gina’s failure to follow proper procedures? If Brice’s visits have been covered by Medicaid for the past 2 years, what possible reason might there be for Medicaid to discontinue benefits? Please answer Critical thinking questions A and B in Chapter 10 of the Health Insurance Today workbook. Put your answers into a Word document named “Military Plans Workbook” . A. Patient Betsy Froman, who is enrolled in TRICARE standard, has been referred to you, the health insurance professional at Broamoor Clinic, with this question: ” I am scheduled for an outpatient echo-cardiogram at Broadmoor Medical Center next week. What, if anything, need to be done before I have this procedure?” What should you tell Ms. Froman? Will she need an NAS? B. Assume that the Broadmoor providers are non Pars for military claims and require patients to file their own claims. Patient Arnold Chess worth, a CHAMPVA-eligible patient, asks you for help in getting filing information. Generate an instruction sheet for military patients on where to find this information: include online sources and toll-free telephone number. 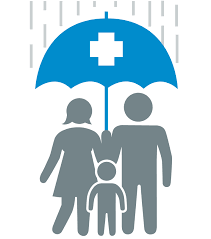 1) Do you feel it is better to allow individuals the freedom to choose any type of (or no) health insurance coverage available to them or to increase government involvement in a person’s/family’s healthcare via mandates, such as the ACA and/or the government as a single insurer for all residents. Why? 2.) Discuss the mission of the Patient-Centered Outcomes Research Institute (PCORI) and the Center for Medicare & Medicaid Innovation (CMMI). 3.) If you could reform the malpractice or tort laws, what types of changes would you make? When do you feel it is appropriate for someone to claim damages from medical procedures or treatment? Do you feel there should be a cap on the payments, and if so, how would you decide what that cap would be? What are all the different costs involved in medical malpractice suites? Is it easier to talk about tort reform than to actually try to define it? 4. ) The rights of people once they have been incarcerated can be a controversial topic of discussion. Discuss the healthcare rights of the incarcerated population. What do you feel should or should not be provided to those who are imprisoned? Are there certain tests or procedures that they feel should be performed routinely? Why or why not? What is the nurse’s role, based on the section on page 248? APA format word document, Arial 12 font, attached to the forum tab in the discussion board. A minimum of 3 evidence-based references no older than 5 years (excluding the class textbook) are required. You must post at least two replies to any or your peers sustained with the proper references. A minimum of 600 words are required (excluding first and last page). State Children Health Insurance Program. From the first e-Activity, specify whether your state follows the private insurance model or the Medicaid model for its CHIP. Analyze the impact that the choice of model has on the fiscal health of your state. Provide two (2) examples of this impact of model choice to support your analysis. 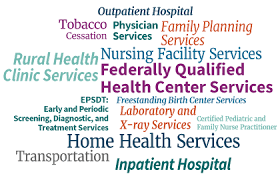 From the second e-Activity, examine at least two (2) changes to CHIP that have occurred as a result of the implementation of the Affordable Care Act. Hypothesize the potential effect that the changes in question could have on access to health care for children covered by CHIP. Support your rationale with one (1) specific example of such an effect for each change that you have identified.